How to display data in a GridView column based on Parameter value in Database? 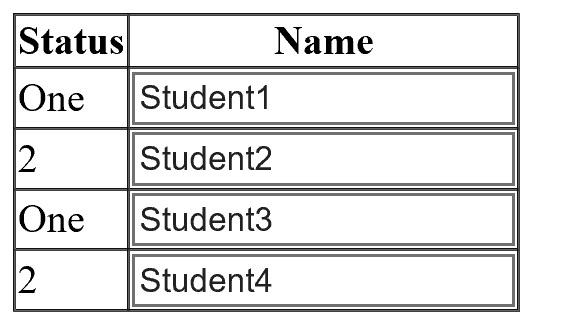 I have an database column named status which takes integer values based on certain events. However, I want to display a text in the GridView instead of the status value ( Taken from the database) depending on the parameter the status value has. For Example if the status is 1, I want the text to be"One" and so on. Re: How to display data in a GridView column based on Parameter value in Database?